The era of yellow page advertising is over. Rather than skimming through a big yellow book of telephone numbers, prospective chiropractic patients are turning to the Internet. 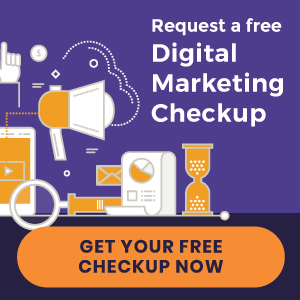 Learn how online advertising can generate new patients fast, but how inefficient campaigns can deplete your budget even faster. Online marketing isn’t restricted to one specific tactic. At least, it shouldn’t be. Each strategy serves its own purpose. Two of the most popular online marketing techniques are search engine optimization (SEO) and pay-per-click (PPC) marketing. SEO: Optimizes your website for search engines. Depending on competition and your website’s authority, it can take a while to gain traction (impact: steady, long-term growth). PPC: Generates new patients quickly through paid advertising, such as Google AdWords. You gain instant visibility on search engines by “buying” your way to the top (impact: immediate, short-term growth). Is one better than the other? Not necessarily. Google is the number-one source of new patients, so SEO is a must (even referral patients check you out on Google first). It’s a long-term game plan to get you in front of a massive audience – without having to pay for every click to your website. If you need new patients today, or want to target new patients in say a neighboring jurisdiction, PPC is a great way to supplement SEO and other digital marketing endeavors. There are several commonly overlooked variables when it comes to creating effective PPC campaigns. 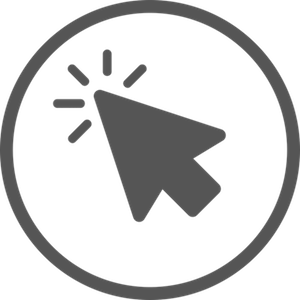 In particular, many believe that a quality PPC campaign consists of compelling ad copy and choosing the right keywords. Both are critical components, yes. But it ignores one of the most important factors: how your PPC campaigns are linked to your practice website. Your ads shouldn’t link to just any page on your site. They should link to a page that is customized to the specific ad you are serving. While that final step (linking to a web page) is required to activate a campaign, it’s often an afterthought. And not just for the layperson. It’s something even PPC agencies are guilty of, mainly because most agencies don’t have access to a client’s website. Therefore, they don’t bother customizing a landing page for a particular ad. They just send all the traffic to the homepage. This is a problem. Your campaigns and landing pages work in harmony to produce new patients. Doing so will improve the relevancy of your ad (which can make your ad more affordable) and improve your conversion rate (how many people actually schedule an appointment). When you send someone looking for “pediatric chiropractor” to your homepage that promotes massage therapy, sports chiropractic, auto accident care, and pediatrics, you risk losing the visitor. They’ll think they’re in the wrong place because they don’t immediately see that you’re a pediatric chiropractor. When it comes to linking your PPC campaigns to your website, your ad landing page is only one component. Once a prospective patient visits your landing page, where do they go from there? Most people want to learn as much as they can about a practitioner – their philosophies, personality, etc. – to answer the question, “Are you the chiropractor for me?” before scheduling an appointment. Which means your entire website must be designed with the patient in mind. You can be active on social media, have high search engine rankings, and run one ad campaign after another. But you won’t close the deal until you engage visitors through your website content and design. Mobile-friendly: Optimizing your website for mobile devices is important for two reasons: 1) Google’s ranking algorithm favors mobile-optimized websites; 2) You provide a better experience for people accessing your site on a mobile or tablet device. The “Conversion-Essential Pages”: A patient-converting design consists of five essential pages. They include your homepage, doctor[s] bio, contact us, about us, and services. Persuasive content: When writing your content, the most important thing to keep in mind is that your website isn’t for you. It’s for prospective patients. While it’s important to explain what you do, set yourself apart by telling your unique story. Professional photography: More than 60 percent of consumers feel better about a business that features custom website photography. While you may use stock photos on some of your webpages, custom photography of you and your staff brings personality to your website. Browsability: We live in an age of “scanning.” Internet users aren’t interested in reading unending paragraphs of text. Spread out your content with bullets, headings, and short paragraphs to improve browsability. If your website isn’t structured for new patient conversion, your PPC budget will undoubtedly suffer. 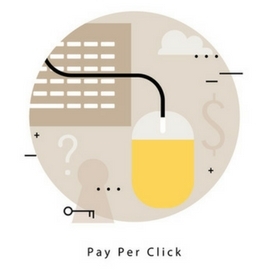 Poorly optimized PPC campaigns will quickly deplete your marketing budget. Sometimes this results from taking the do-it-yourself approach. In other cases, it results from a PPC provider that doesn’t effectively integrate your website. If you’re just getting started, or if you’re looking for a new provider, consider an integrated online marketing solution. Managing multiple vendors (one for PPC, one for your website, etc.) can be confusing and time-consuming.